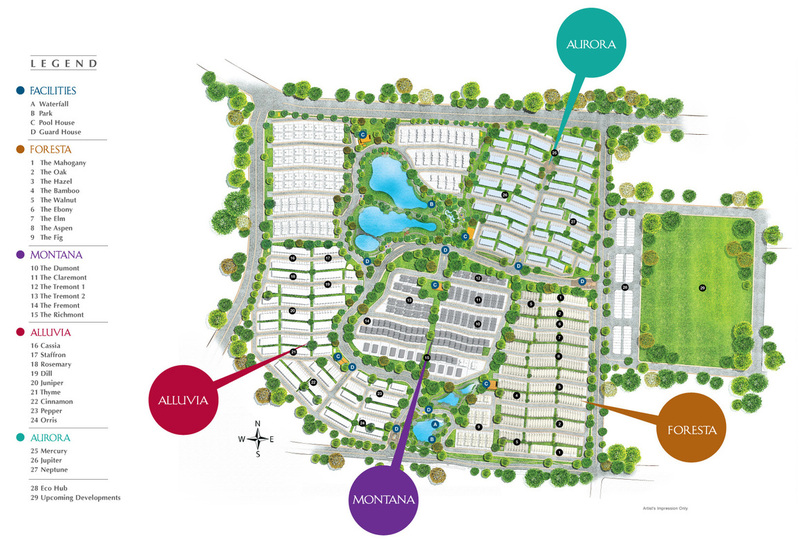 Come and discover the neighbourhood of Setia Eco Cascadia and learn about the life, malls, and people in the area. Find out more about the schools and properties that are available in the area. 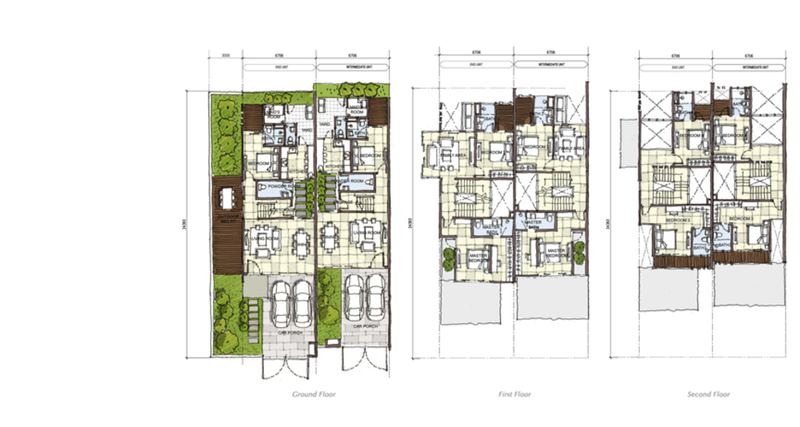 Browse through our superb properties For Sale in Setia Eco Cascadia. 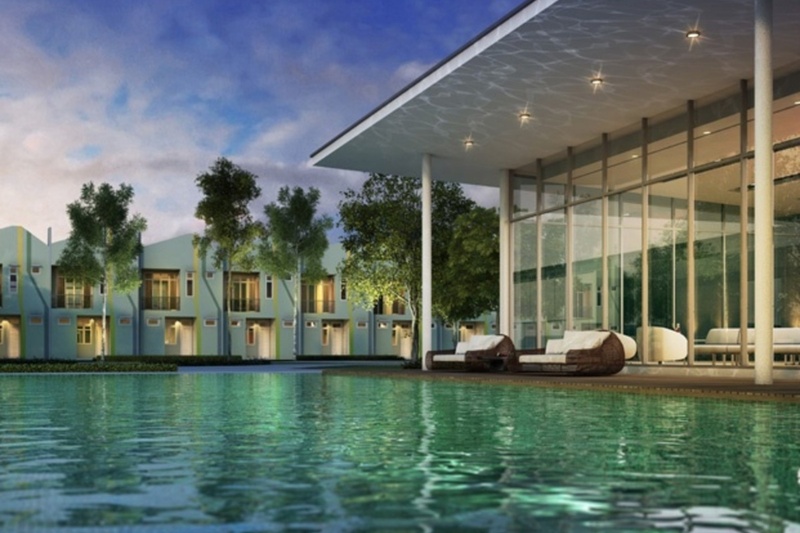 Browse through our superb properties For Rent in Setia Eco Cascadia. 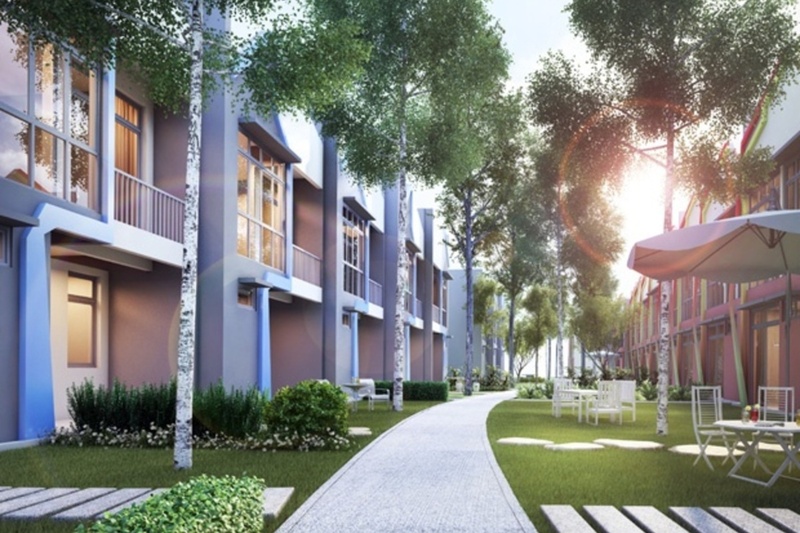 Setia Eco Cascadia is a township development located in Tebrau, Johor. 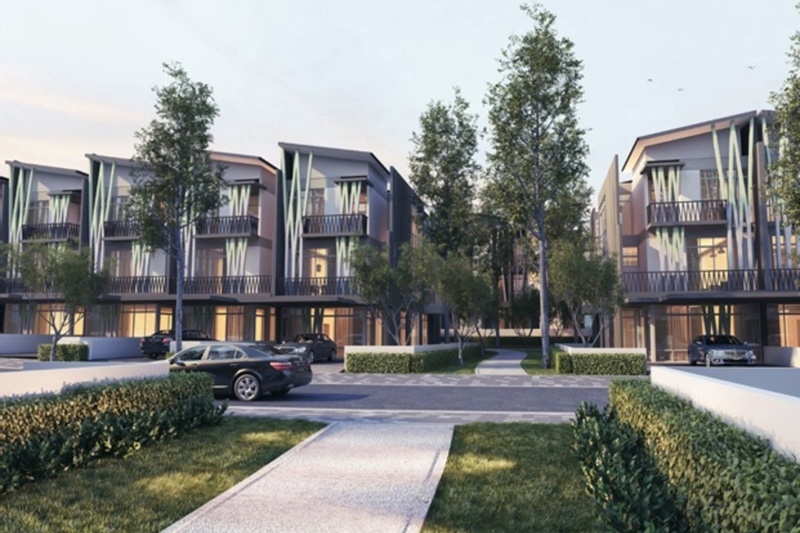 Comprising of landed homes as well as commercial shops and offices, the township is set to become a great home for families, where beautiful homes and convenient amenities are all in one place. 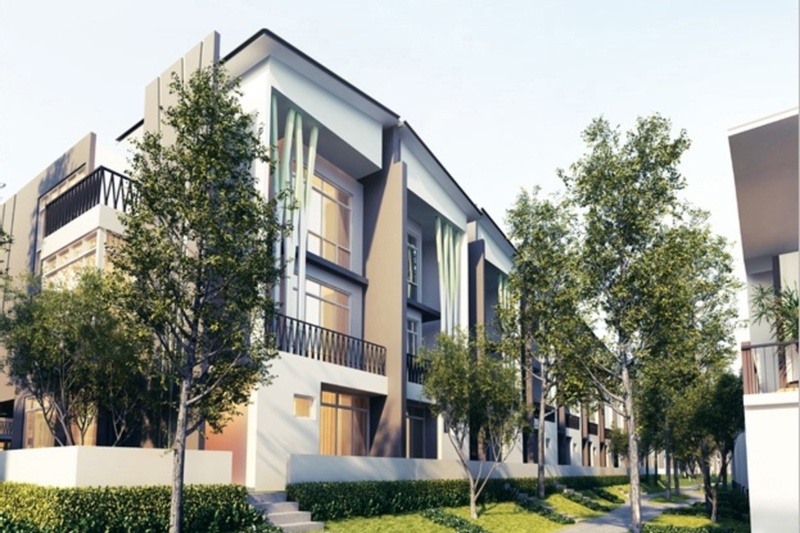 Surrounded by landscaped greenery, the homes of Setia Eco Cascadia are spacious, with a number of terraces and semi-detached types available. 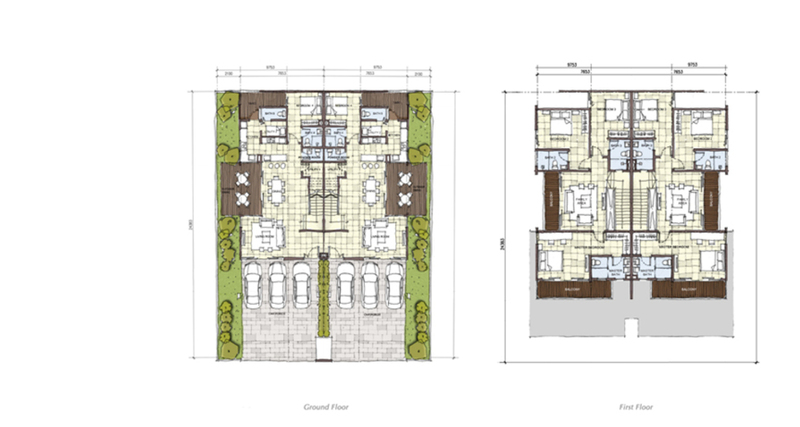 The homes come in collections of various themes, namely Foresta, Montana, and Aurora. 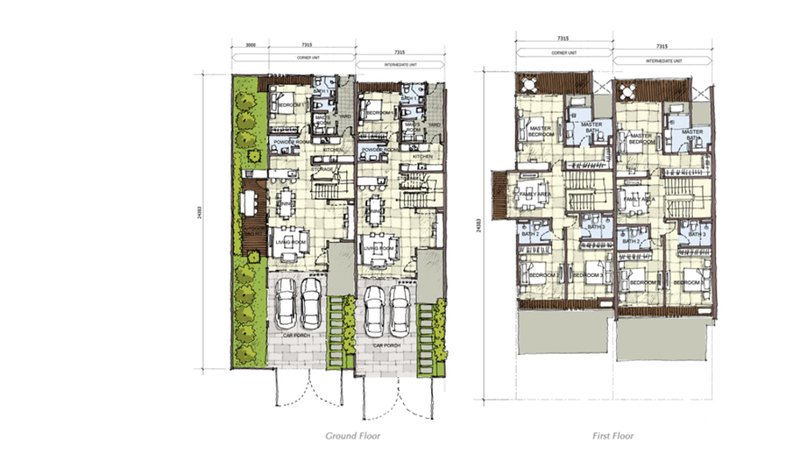 The Foresta precinct comprises Forest Homes, with 2-storey units, namely Mahogany (2,100 sf), Oak (2,525 sf), Hazel (2,683 sf), Walnut (2,873 sf), and Bamboo (2,953), which offer layouts of 4+2 bedrooms, and Fig, which has 3+2 bedrooms. 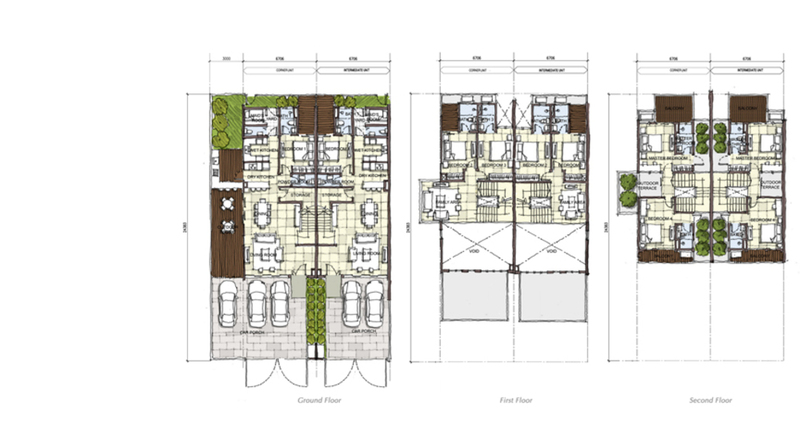 The larger 3-storey units are the Ebony (2,997 sf), Elm (3,150 sf), Aspen (2,956 sf), which have 5+2 bedrooms. 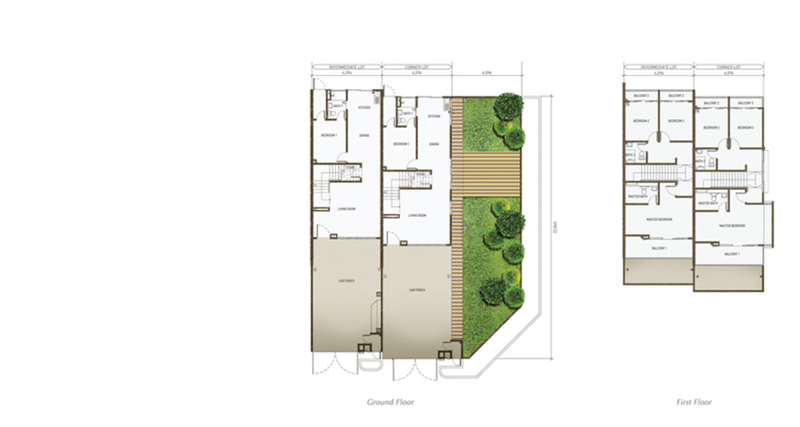 These units feature tall ceilings and slanted roofs reminiscent of forest foliage. 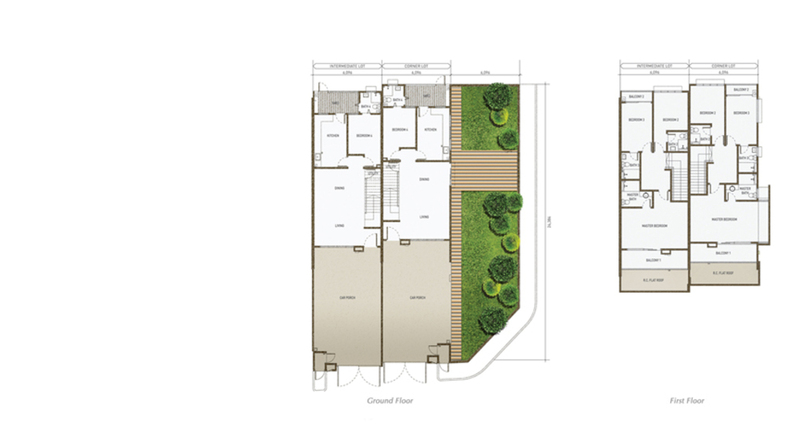 The Montana collection consists of mount villas, which are 2-storey cluster homes known as the Claremont, Dumont, as well as semi-detacheds, under the Tremont layout type. 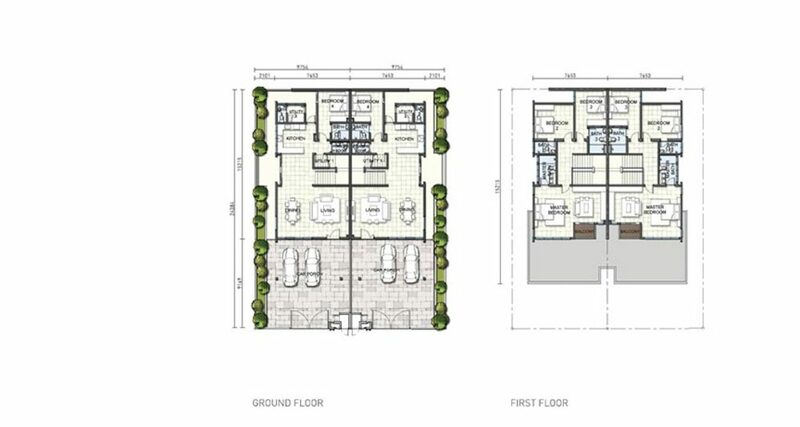 These units are sizeable, with built-ups of 2,938 sf (Claremont), 2,917 sf (Dumont), and 3,485 sf (Tremont), and layouts of 4+2 bedrooms and 5+1 bathrooms. These luxurious homes embody the privilege of living close to nature. 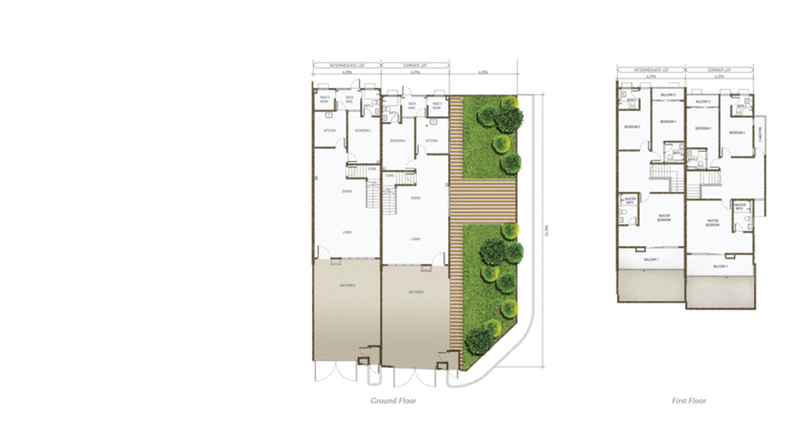 The Aurora units are divided into the Jupiter, Neptune, and Mercury types, which are 2-storey terrace homes. 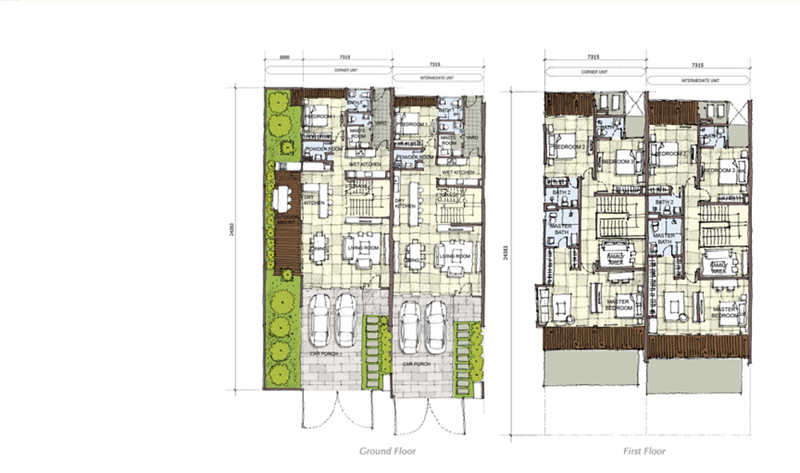 The Jupiter units have a layout of 4+2 bedrooms and 4 bathrooms, with a built-up of 2,244 sf. 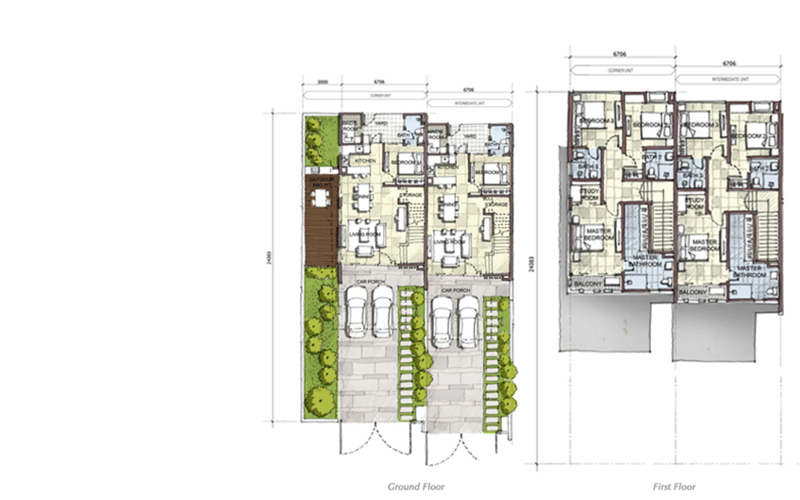 Both Neptune and Mercury offer 4+1 bedrooms, with sizes of 2,123 sf for the former, and 1,969 sf for the latter. These homes feature a unique facade, where colours like blue, green and orange are used to mirror the planets the homes are named after. 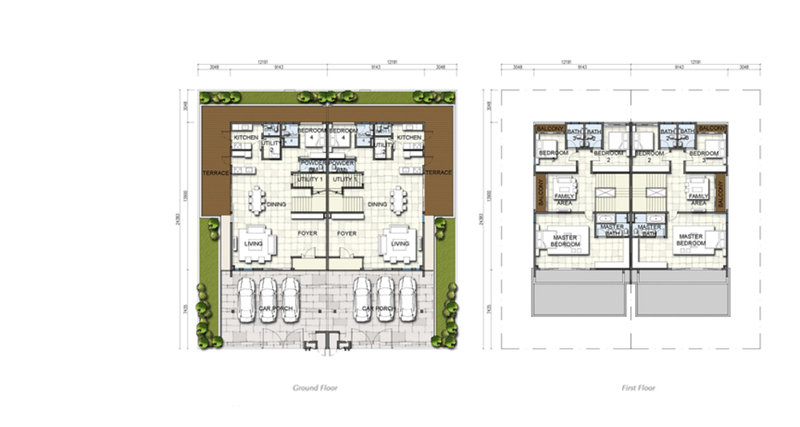 The commercial component of Setia Eco Cascadia is known as Eco Hub, where the 3-storey shop offices have a combined built-up space of 5,008 sf. 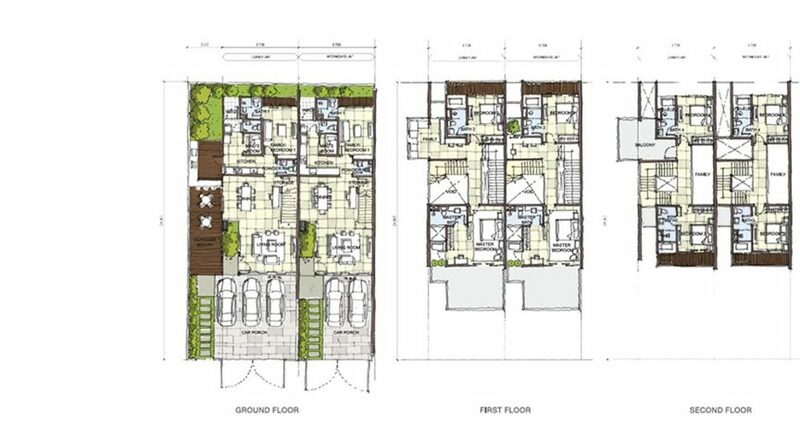 These 79 units are great opportunities for investors and business owners, given the large number of residents that will occupy the homes. 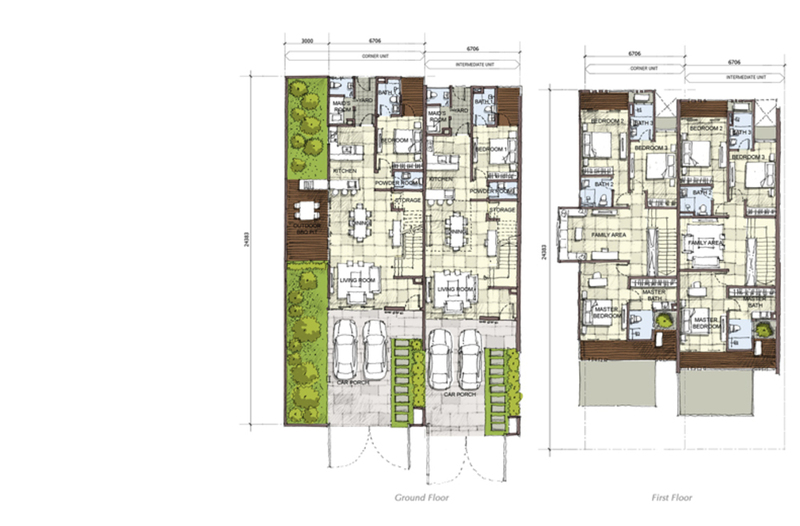 The gated and guarded township will also provide simple yet sufficient facilities at its exclusive, residents-only pool house. 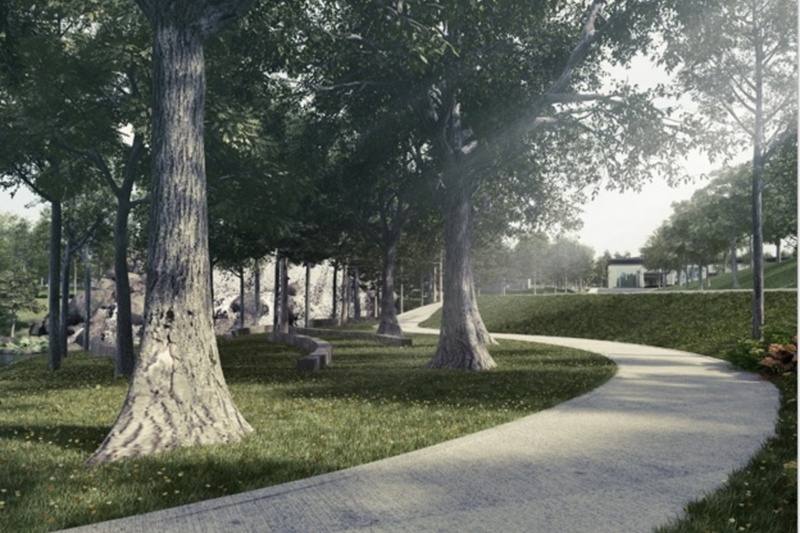 There, residents will have access to an outdoor swimming pool and gymnasium, while pebbled walkways and green landscaping throughout the development accords a sense of tranquility. 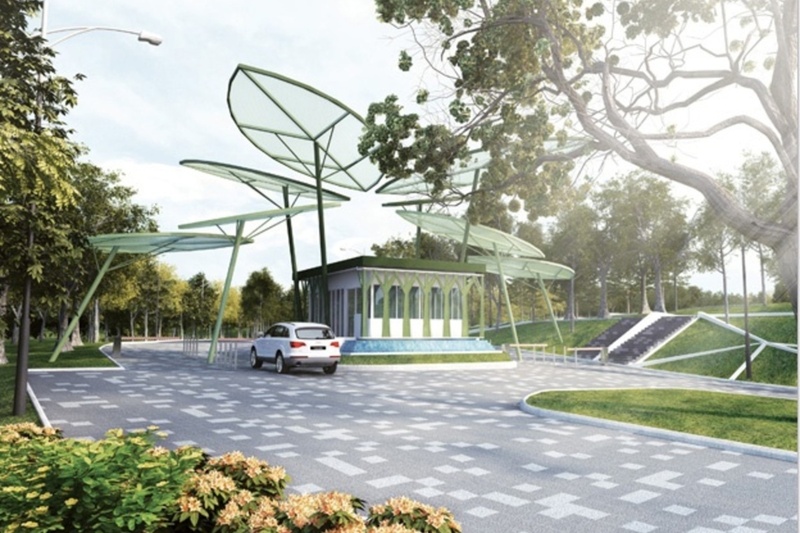 On top of the amenities that will be available at the Eco Hub commercial shops within, existing amenities are also at located a quick drive from the Setia Eco Cascadia township. Under 8km away is the AEON Tebrau City Mall, where everything from daily needs to entertainment can be found. Hypermarkets like a Tesco is also in the area, while Hospital Sultan Ismail is just adjacent to the AEON mall. Great choices of schools, encompassing SMK Desa Tebrau, SK Taman Puteri Wangsa, SMK Puteri Wangsa, and Sunway College are also at hand. 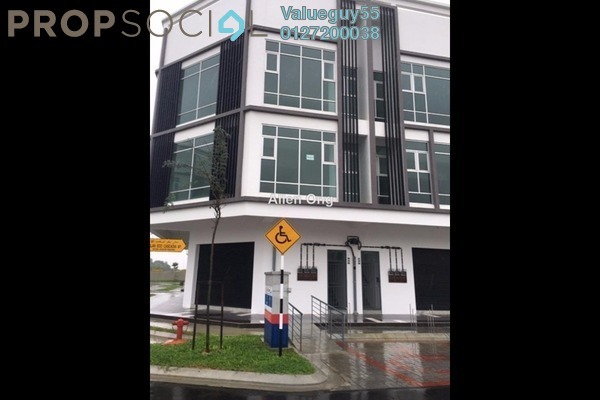 Setia Eco Cascadia is located a quick drive from several important routes of connectivity, which links the township to other towns within Tebrau, and Johor. 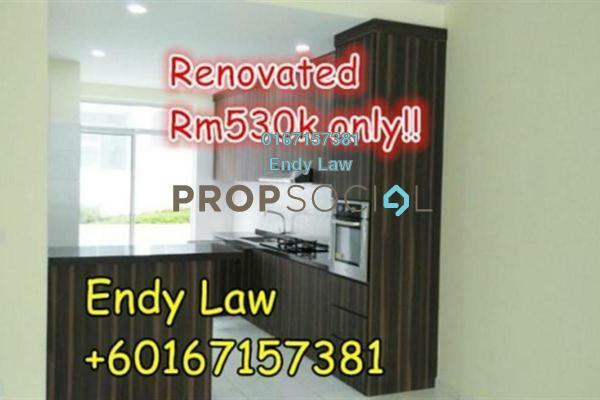 Located a few minutes southwest of the development in the North-South Expressway (NSE), while Jalan Kota Tinggi links to the Senai-Desaru Highway. The Pasir Gudang Highway is also reachable, leading to the industrial town. 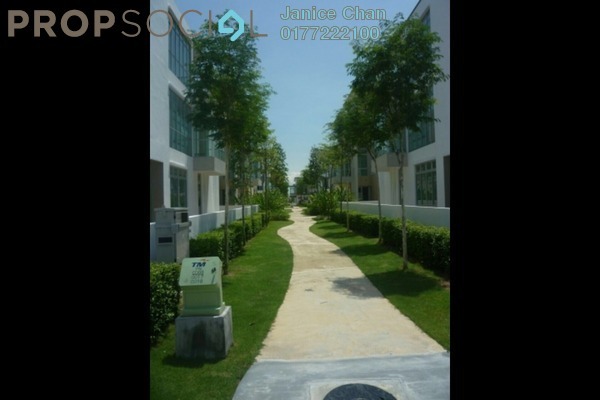 With that, the JB city centre is approximately 30 minutes away. 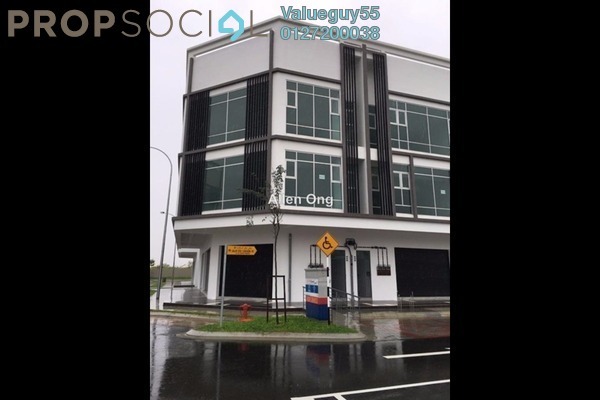 Pasir Gudang is also about the same distance away, while Senai is roughly 25 minutes’ drive from the township. 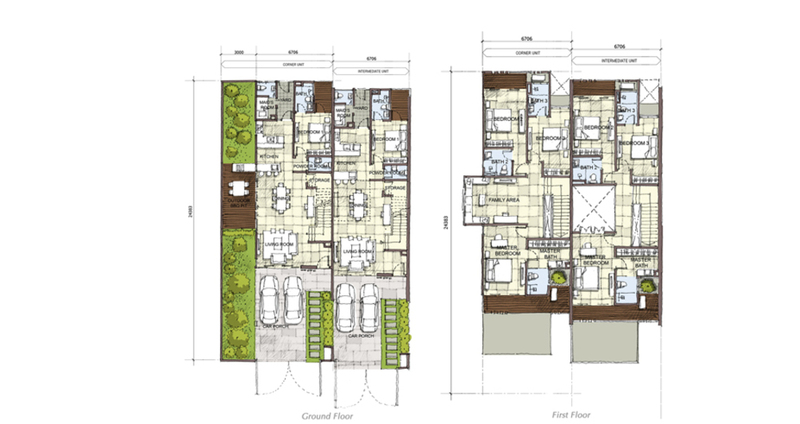 Total of 15 Floor Plans. 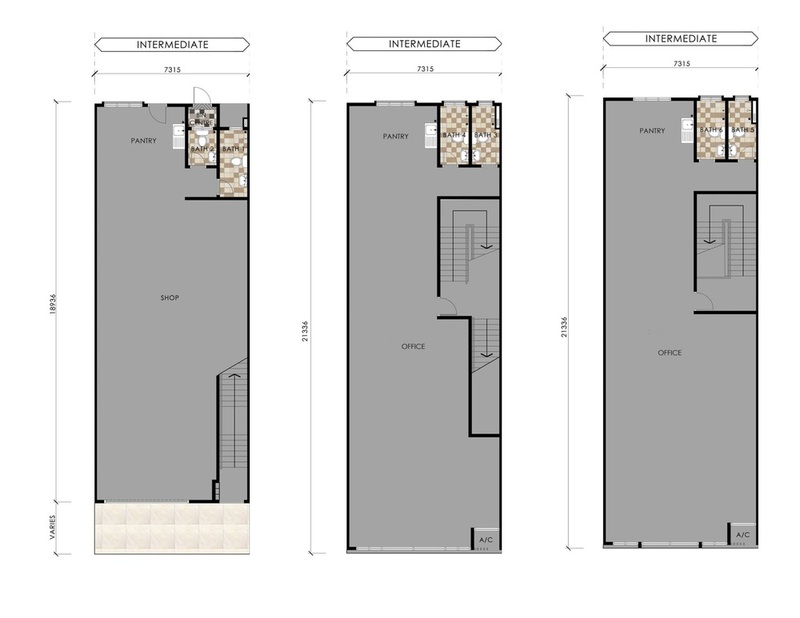 I would like to request for more information or a site viewing for the Mahogany unit. Thank you. With PropSocial, everyone can now find their dream home. 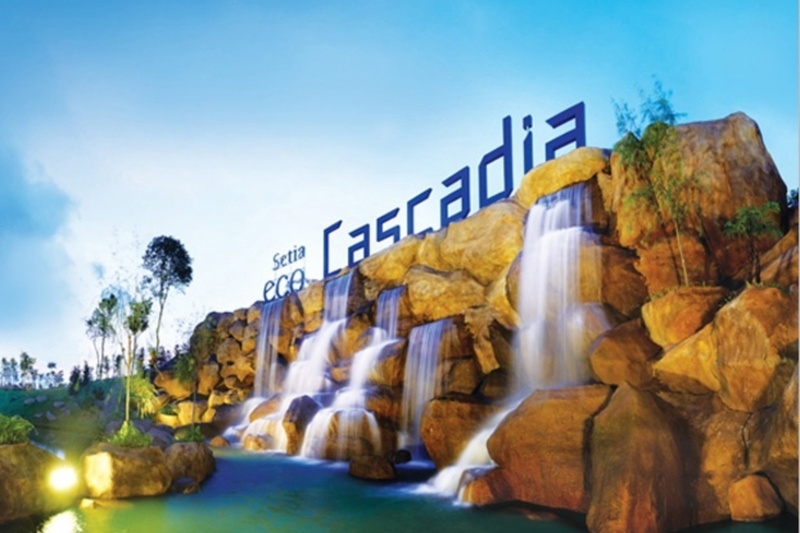 Looking to buy, sell or rent a home of Setia Eco Cascadia? Fill in your details and we will get right back to you!